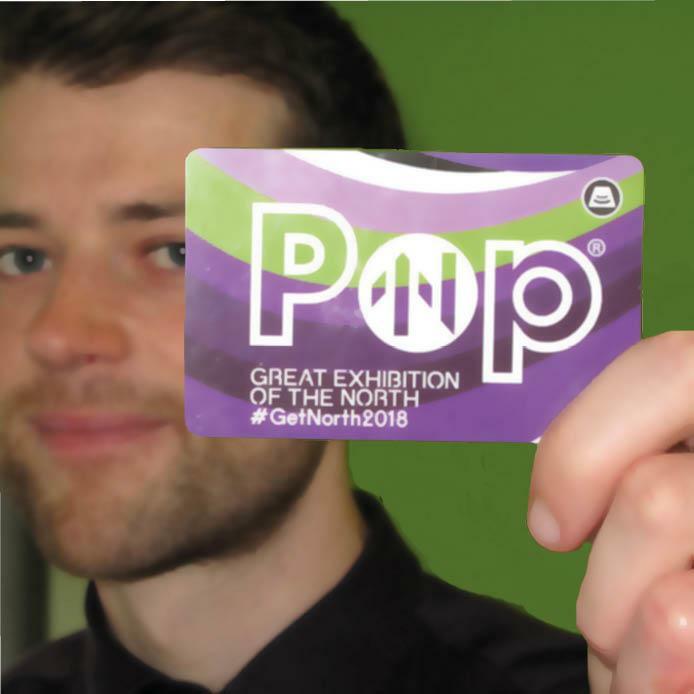 Pop Pay As You Go is an easy way to pay for public transport across Tyne and Wear and is the ideal way to travel around the region to go on the Great Exhibition of the North trails and see events. Simply top up your Pop PAYG card and use it to pay for your journeys on Tyne and Wear Metro, buses and the Shields Ferry as you make them. You can top up your card at popcard.org.uk, Nexus TravelShops and at Metro station ticket machines. Your Pop PAYG card is free, and will arrive with a balance of £10 on it. Postage is free and your Pop PAYG card will be dispatched within 48 hours. Find out more about Pop PAYG here. Click here to buy a Pop blue card. Please note that all sales via this website are subject to Nexus' Ticket and Smartcard Terms and Conditions of Use and the Metro Conditions of Carriage. By purchasing any product on this site, you are confirming that you have reviewed these terms and that you agree to be bound by them.